For more reasons than the law allows, the San Diego Comic-Con is nothing short of pure greatness. Each year, just when you think they can’t top their previous years’ effort, both the line-up of guests and show trailers created and produced with the thought of them actually premiering at the annual event (which happens to be going on around us as we speak) they outdo themselves. 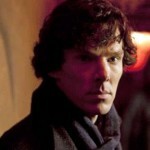 2016 has proven to be no different from the outset with the announcement Saturday that Benedict Cumberbatch would join his fellow Sherlock BFF’s for todays panel. From a trailer standpoint, this year is no different having already seen the exclusive premiere of the forthcoming Wonder Woman film starring Gal Gadot along with The Walking Dead, series 7. 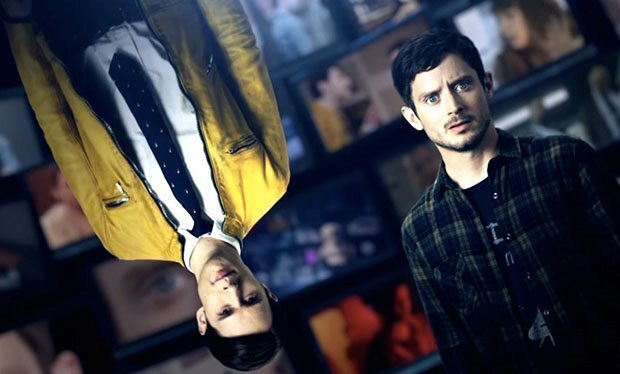 Up next, from BBC America, comes the newest adaptation of Dirk Gently’s Holitistic Detective Agency starring Samuel Barnett and Elijah Wood set for a Fall premiere. 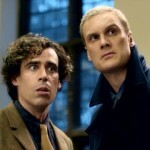 Based on the books by the late great British author Douglas Adams (Hitchhikers Guide to the Galaxy), the story (previously adapted for BBC4 and starring Stephen Mangan and Darren Boyd) revolves around a detective (Barnett) who doesn’t look for clues, a sidekick (Wood) who refuses to play Watson and various animals in peril, all tied together by Gently’s belief that everything in the universe is connected – and that that knowledge can help him solve any crime. 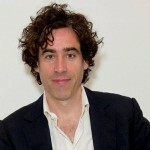 The novel Dirk Gently’s Holistic Detective Agency has its origins in the incomplete 1979 Doctor Who television serial Shada, which featured Tom Baker as the Fourth Doctor. Best known for his 1978 BBC Radio comedy, Hitchhiker’s Guide to the Galaxy, Adams wrote several Doctor Who episodes, including “Shada”. 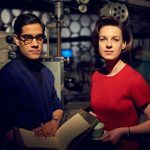 Location filming in Cambridge had been completed, but a studio technicians’ dispute at the BBC meant that studio segments were not completed, and the serial was never transmitted. This led to Adams incorporating elements of the DW serial into his 1987 Dirk Gently novel. 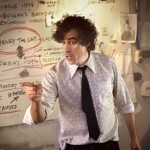 Personally, I can’t see anyone but Stephen Mangan as Dirk Gently. And, with the greatness of Darren Boyd as his sidekick, Richard MacDuff, Helen Baxendale as MacDuff’s girlfriend and Jason Watkins as Dirk’s nemesis DI Gilks cast opposite Mangan, this has all the makings of yet another situation where an American remake is completely unnecessary. 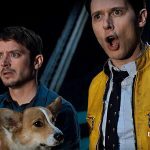 Dirk Gently’s Holistic Detective Agency is set to premiere October 22 on BBC America.